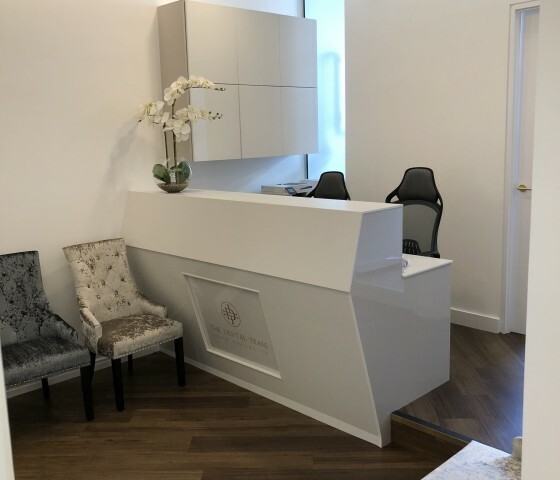 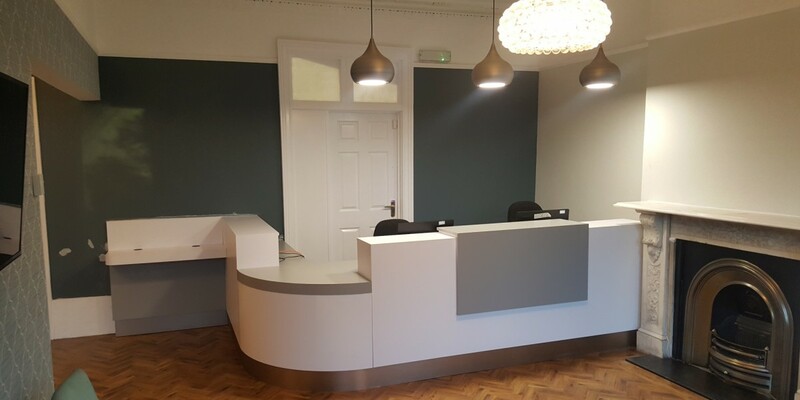 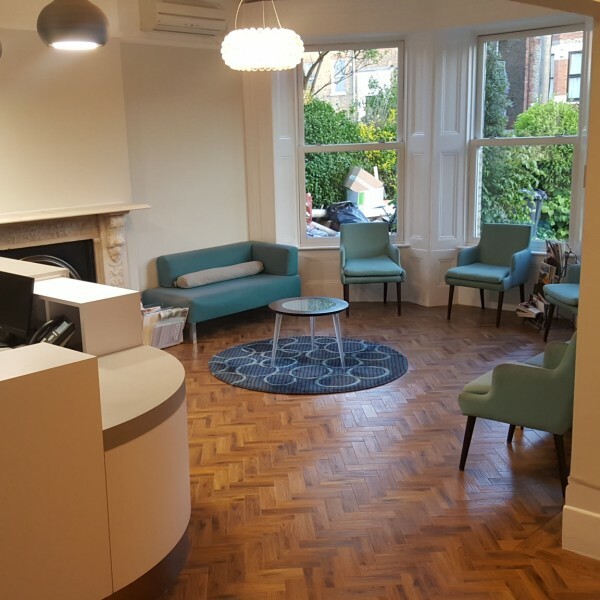 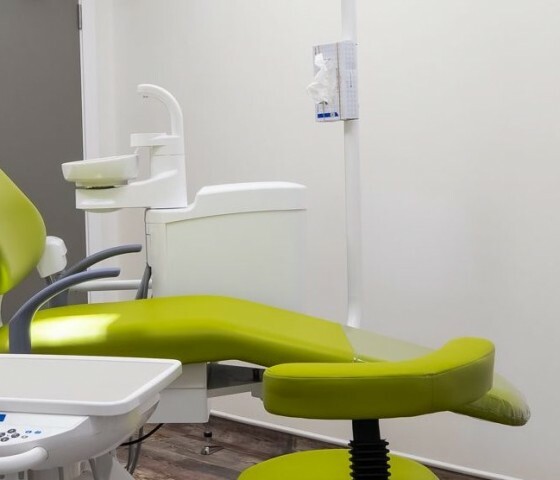 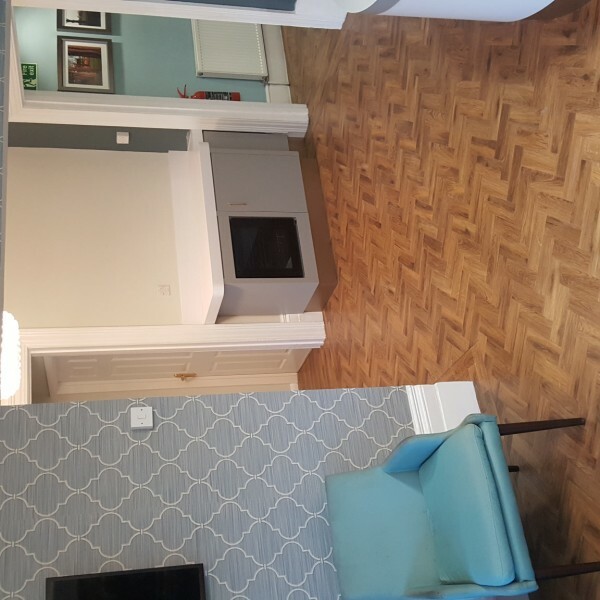 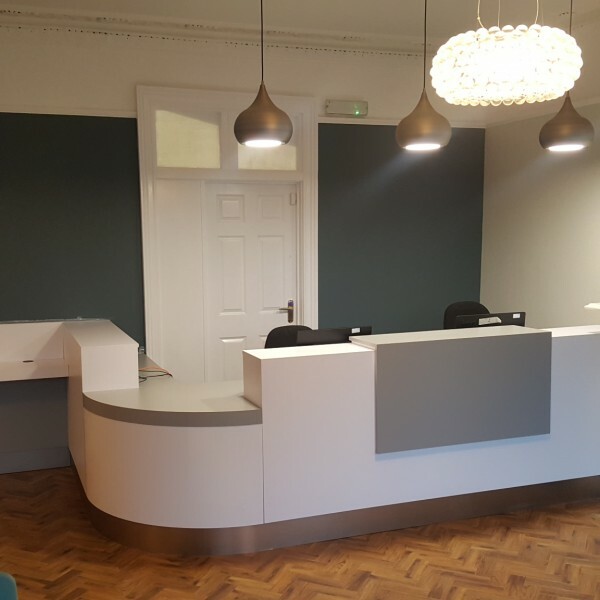 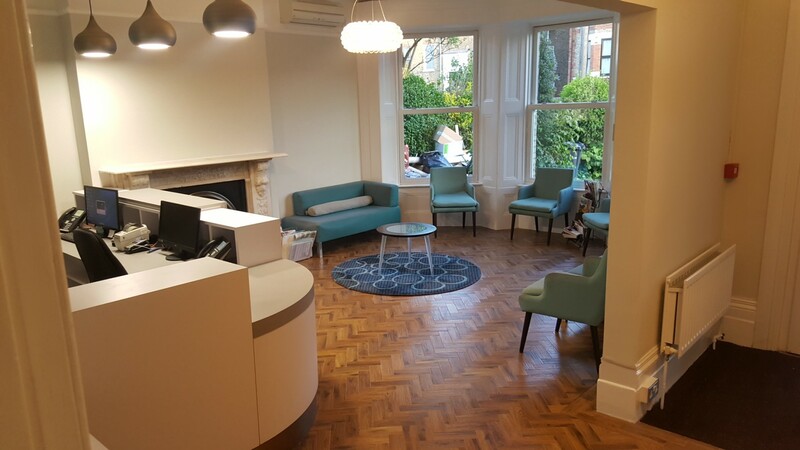 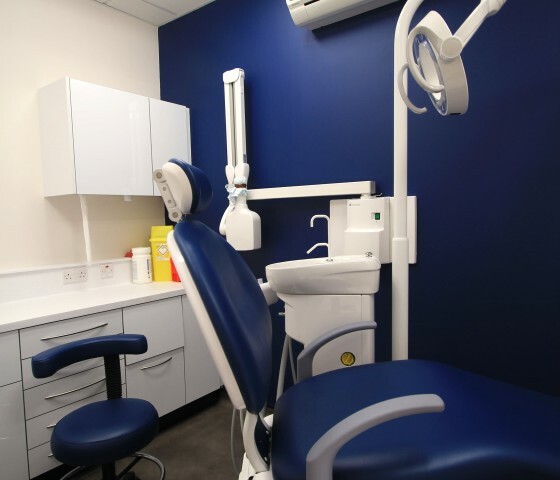 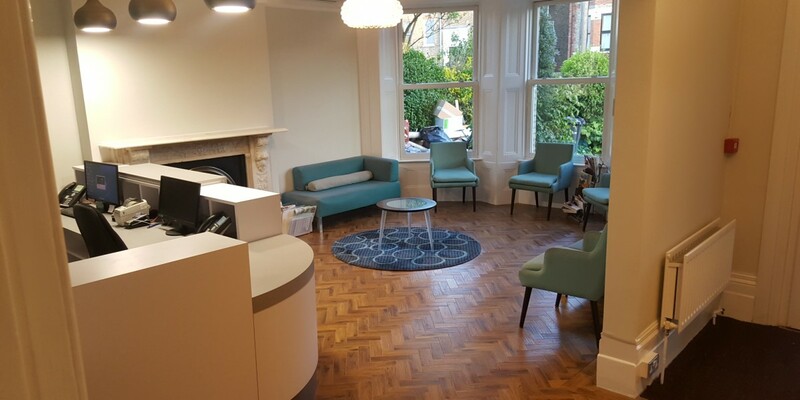 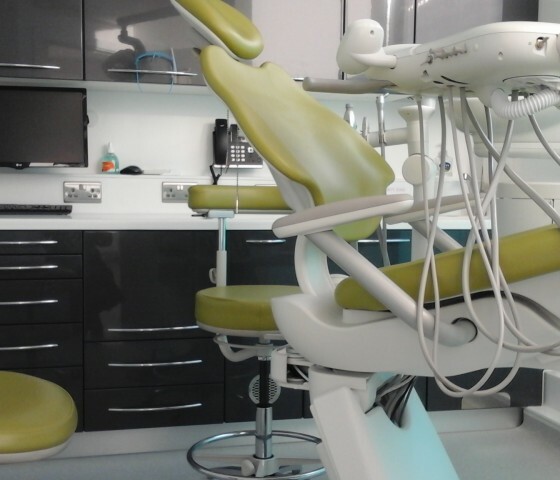 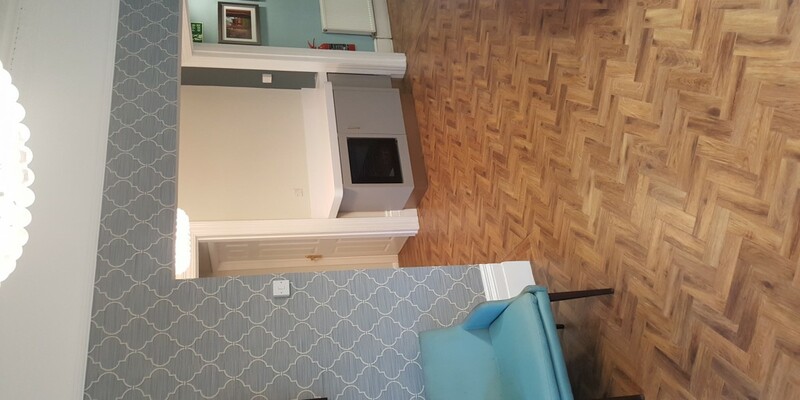 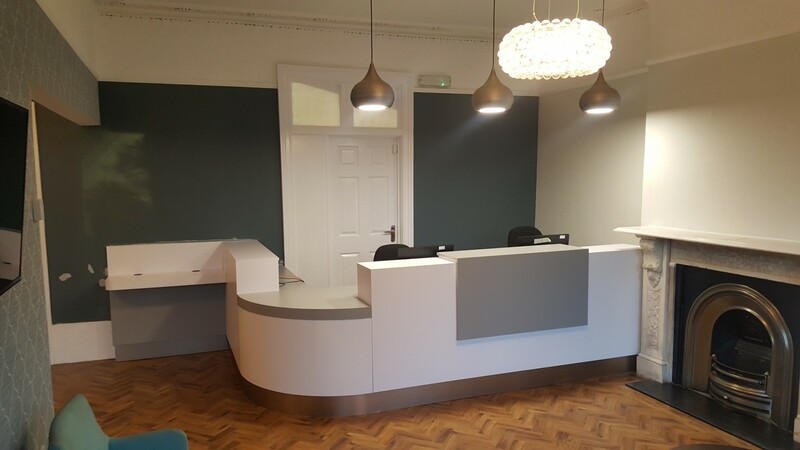 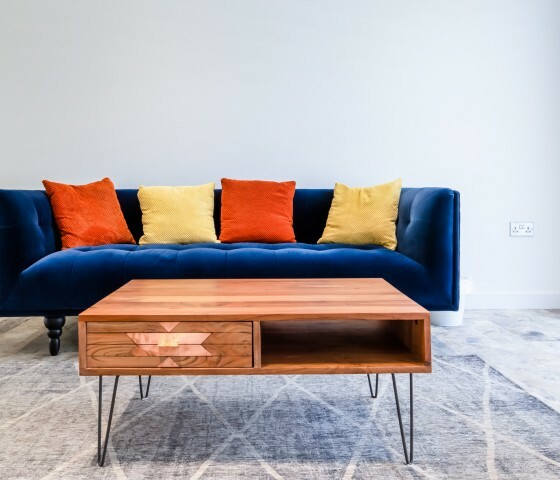 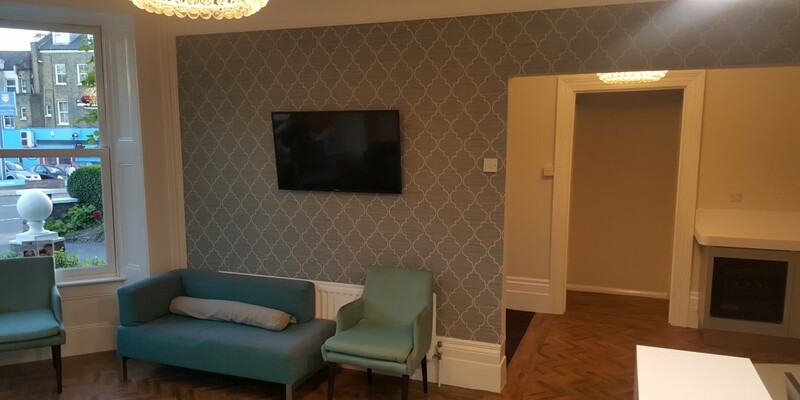 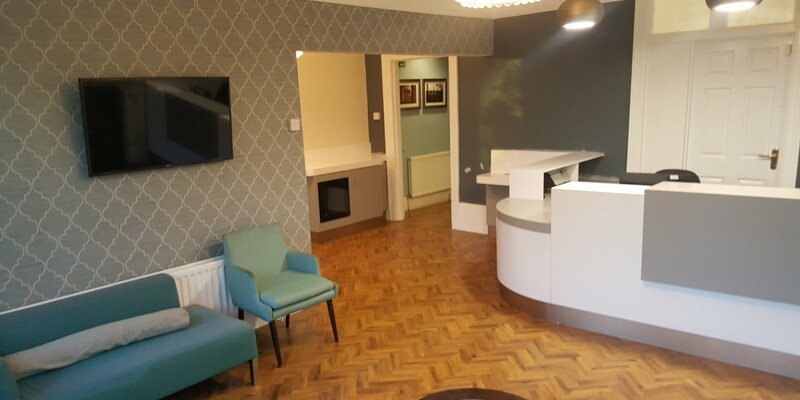 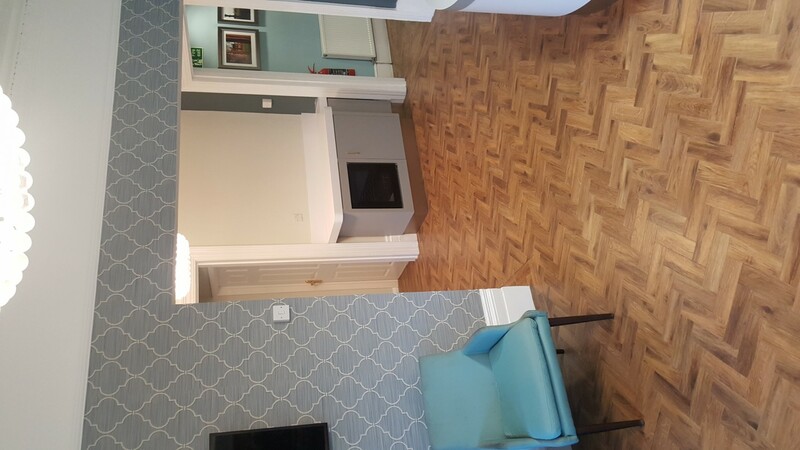 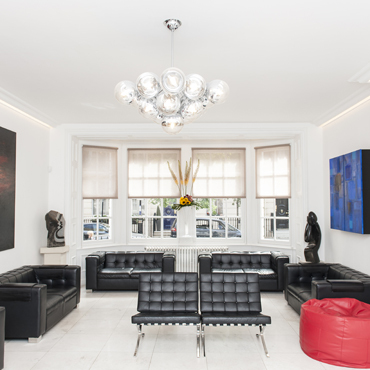 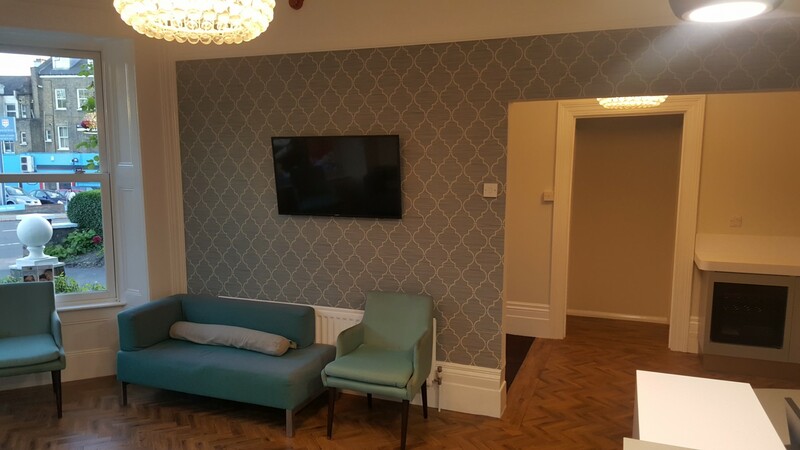 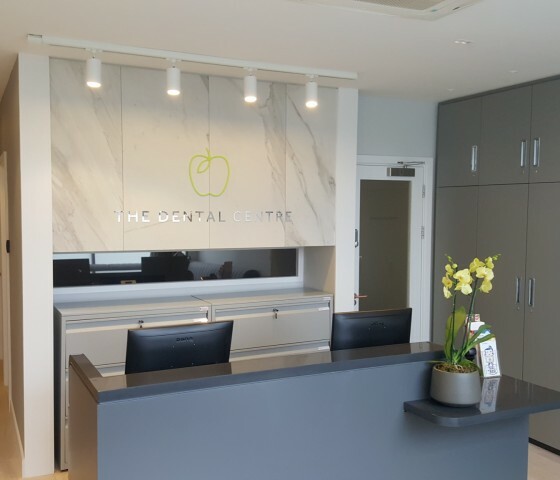 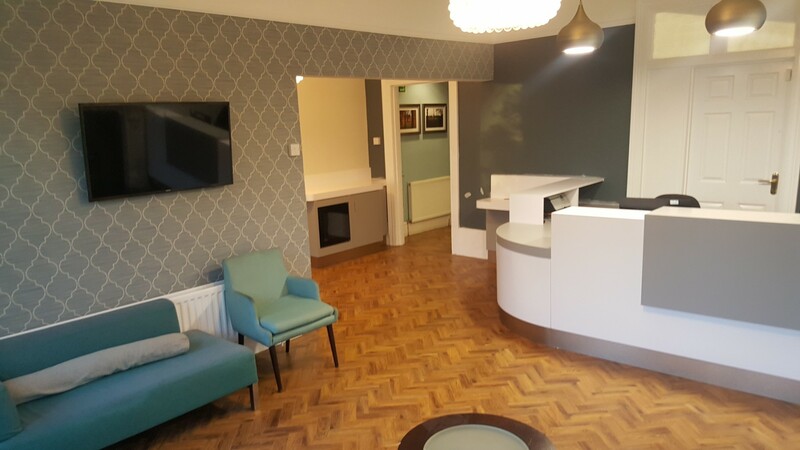 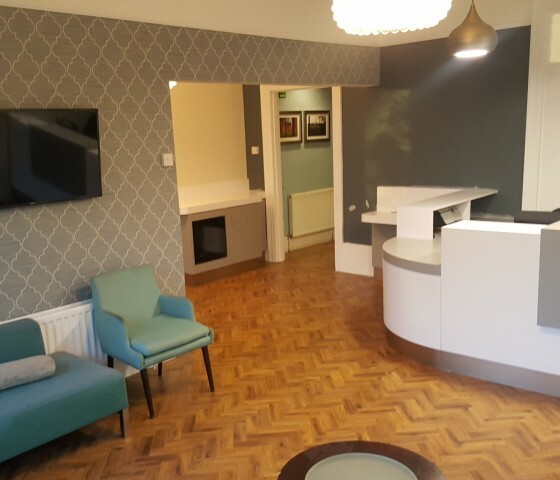 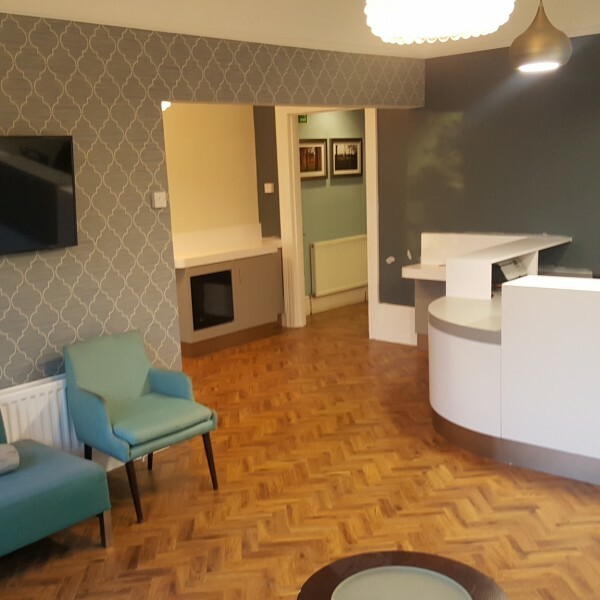 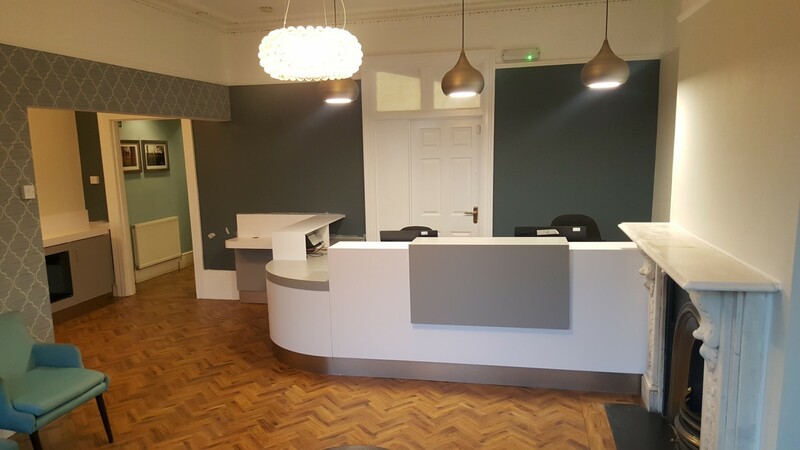 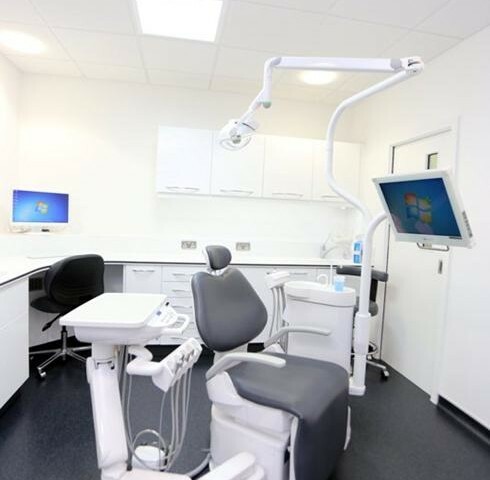 We recently finished a reception, waiting room and common area refurbishment at a dental practice in Tulse Hill. 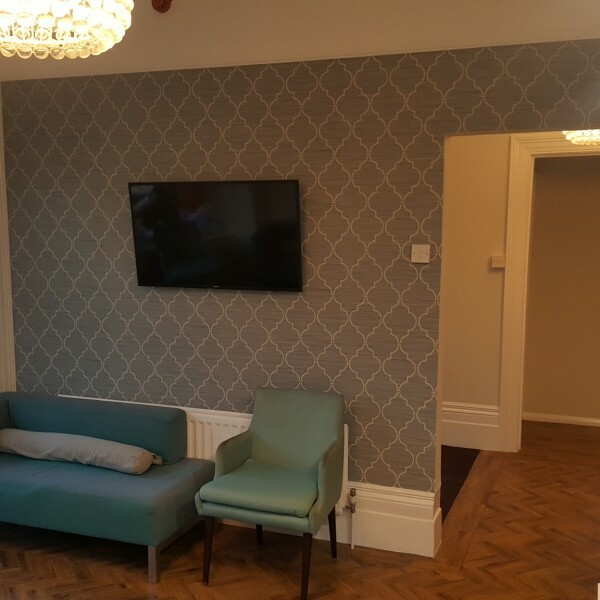 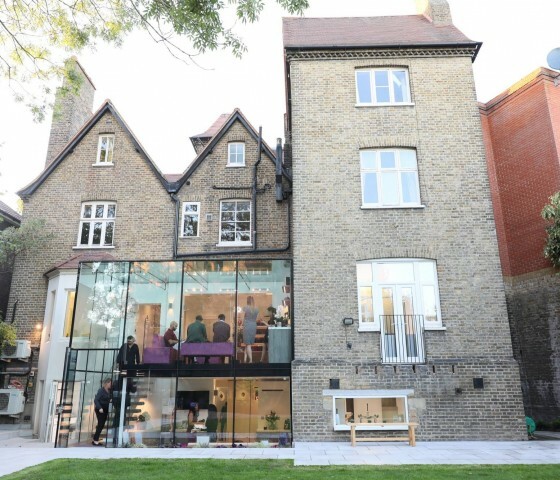 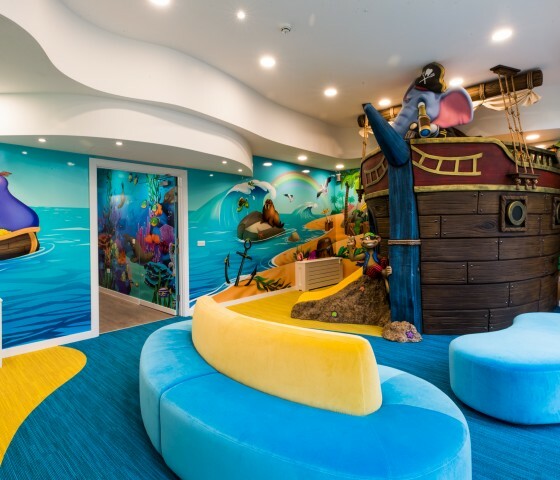 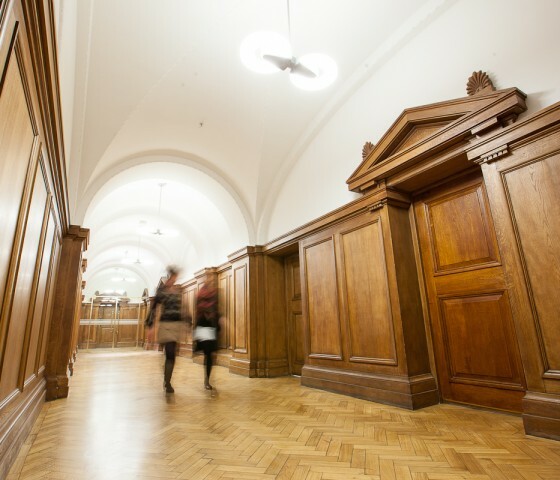 The project was to be carried out over numerous weekends and involved the relocation of all comms equipment and modernisation of the infrastructure. 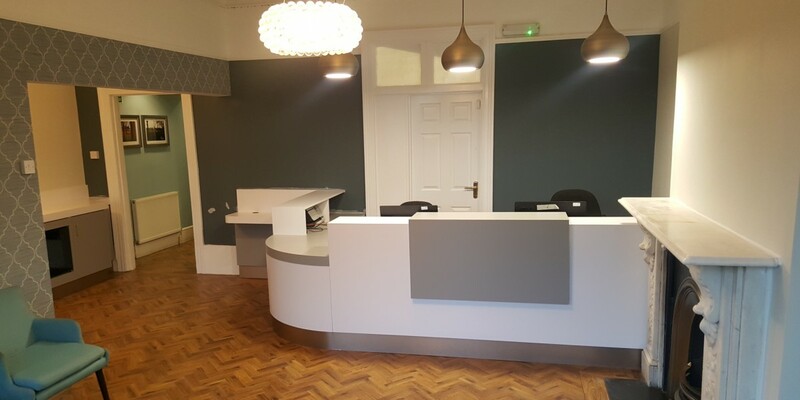 We had to remove the existing reception desk, build a new practice managers office, redecorate throughout the common areas, fit new heringbone vinyl flooring, manufacture and fit all new joinery units, including reception desk, I pad station, coffee unit with integrated fridge and a new sliding door cabinet for the server and PC towers. 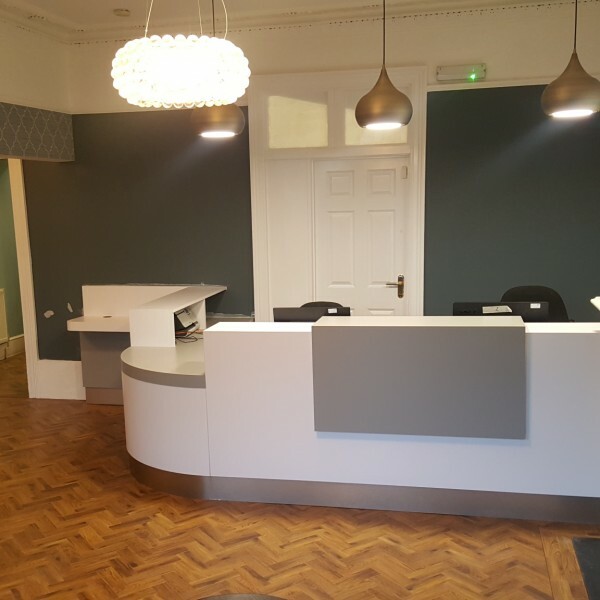 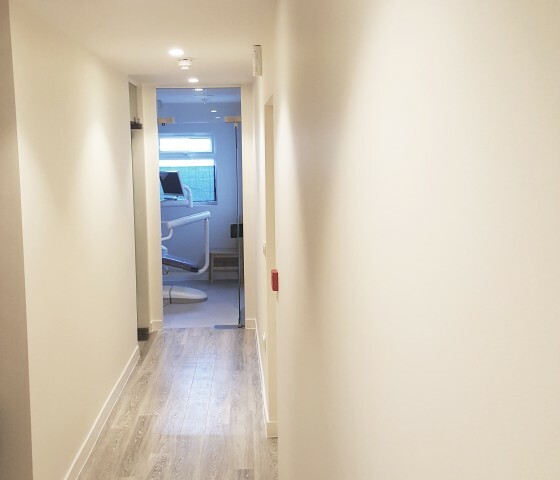 We also replaced all doors with six panel solid core doors to give the practice a more traditional feel, which worked really well with the heringbone style flooring and feature wallpaper wall.